We are all *secretly* THAT parent. The one who does the things they are not supposed to, because they do not meet social conformities, or our expectations that we ignorantly held before parenthood. Though our Instagram paints a pretty picture of days out and smiling toddlers, we all fall prey to being that parent that we vowed we wouldn’t before pregnancy misshaped us. Used to more than often let my baby watch nursery rhymes whilst eating. I will do anything to keep food entering into his mouth during breakfast, lunch and dinner. Super glued many toys and decorative ornaments back together countless times, when they were broken by Baby Z. Washed my toddler’s hands as soon as he stroked a stray cat. Co-slept for as much time as it was comfortable for me, not for how long the books told me to. Fed him something sweet. Whether it’s a *reluctantly given* bite of my Ferrero Rocher, or an entire Jalebi, it happens. Naughty Mummy! Takes photos of our little ones. Lots of them. All the time. Whilst they nap, eat, drink, play, bath, run, walk, jump, swim, smile, laugh, scream, pout, cry….we just keep on clicking. Stick to following the Holy Grail of Parenthood, also named the “schedule” or “routine”. I have literally broken into a sweat/ go into panic mode/ cease to function, if our daily routines are required to change even the tiniest bit. 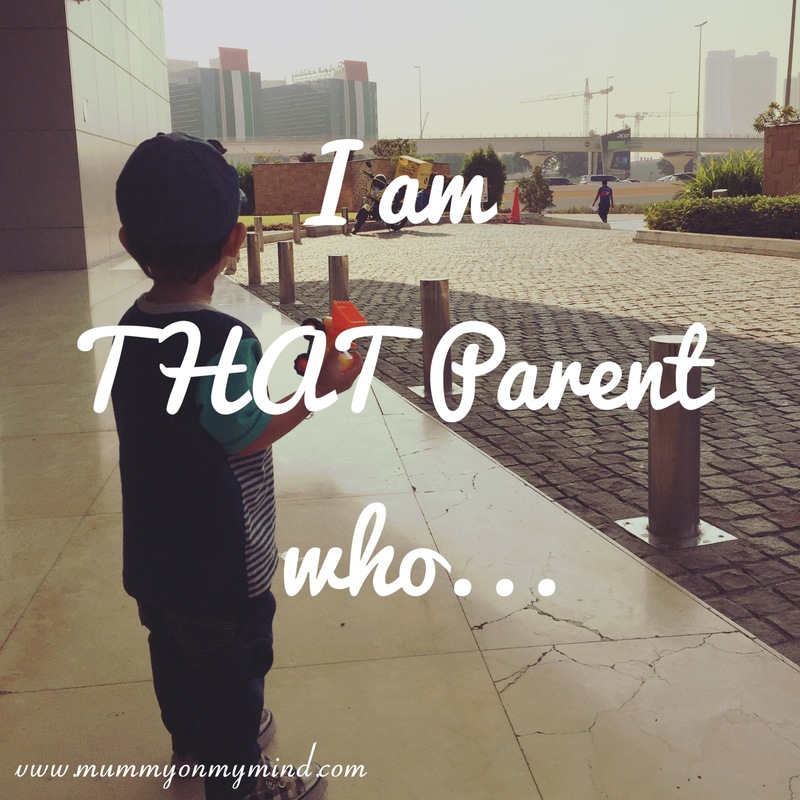 The routine keeps my baby happy and chirpy, and so I AM NOT ASHAMED. Stress out over whether he has had his 5 a day, and if I think he hasn’t, then vow to compensate the following day. Bribe him with things I probably shouldn’t. Bribery just works wonders when I need his nails to be cut, and that means ALL of them, not just one foot. Haha glad I’m not alone!